The NOOR Documentary Foundation is a group of photographers, filmmakers and educators dedicated to conceiving, funding and carrying out documentary projects about the social issues of our time. Our mission is promote, create and display compelling works of documentary photography around issues of human rights and social justice and use these works to inspire dialogue in the public sphere. THE NOOR DOCUMENTARY FOUNDATION IS DEDICATED TO CONCEIVING, FUNDING AND CARRYING OUT INTIMATE AND POWERFUL DOCUMENTARY PROJECTS ABOUT THE IMPORTANT SOCIAL ISSUES OF OUR TIME. The NOOR Documentary Foundation is a non-profit organization creating and distributing compelling photo-journalistic works with the aim to raise awareness, enhance an understanding of the world and to contribute to the visual history of mankind. The foundation facilitates the production of photographic projects through exhibitions, publications, and other (online) activities, stimulating public dialogue. Educational initiatives are at the core of the foundation's activities. To realize our projects and work we seek the collaboration of NGOs and foundations, and the financial support of grants, subsidies and sponsor partnerships. NOOR is grateful for the support and contributions by its sponsor organizations. Our mission is promote, create and display compelling works of documentary photography around issues of human rights and social justice and use these works to encourage dialogue and understanding in the public space. 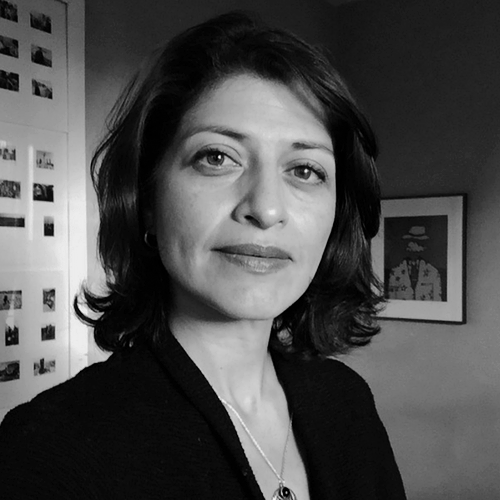 Nina Alvarez is a journalist and documentarian with 25 years experience covering and telling stories from all over the world. She has produced programming from 45 seconds to feature length, focusing on the stories of overlooked communities. Prior to joining Futuro, Nina was a Senior Producer and writer at Fusion’s Investigative series, The Naked Truth. Nina’s long list of producing, writing and directing credits includes: Class of ‘27 (PBS World Channel), Latino Americans (PBS), Marijuana USA (CNBC), Which Way Home (HBO) and Aftershock, Pakistan (MTV). Her work has been recognized with several Emmy Awards, a Peabody Award, the Imagen Award, the RFK Human Rights Award, the Deadline Award, the Cine Golden Eagle and the Alfred I. duPont-Columbia Journalism Award. She was also a fellow with the International Reporting Project, Women Filmmakers of Color Residency and the National Association of Hispanic Journalists. Nina began her journalism career at ABC News in 1993, where she was a production associate on the acclaimed documentary series, Turning Point and later a Producer in the Miami and Mexico City bureaus. Since 2001, she has reported and produced for Univision, NBC, CNN, NPR and Al Jazeera from the Middle East, Africa, Central Asia and Latin America. In addition to Futuro Media, Nina is working on independent projects, including Refugees Need Not Apply, about Salvadorans who fled civil war and came to the U.S., only to find themselves in another battle for the rights of all refugees. Jon Lowenstein specializes in long-term, in-depth documentary explorations that confront the realms of power, poverty, and social violence. Through the integral combination of photography, moving images, experiential prose and personal testimonials, he strives for unsparing clarity by revealing the subjects of history that lack voice. Lowenstein was recently awarded the 2012 Open Society Foundation’s Audience Engagement Grant. He was a 2011 John Simon Memorial Foundation Guggenheim Fellow in Photography for his work on the South Side. He is a TED Global Fellow and a 2012 Hasselblad Master. In 2008 he was named the Joseph P. Albright Fellow by the Alicia Patterson Foundation and also won a 2007 Getty Images Grants for Editorial Photography. He received a 2007 World Press Award and was named as a USC Annenberg Institute for Justice and Journalism Racial Justice Fellowship. He was awarded the 2005 NPPA New America Award, a 2004 World Press photo prize, 2003 Nikon Sabbatical Grant, the 58th National Press Photographer’s Pictures of the Year Magazine Photographer of the Year Award and Fuji Community Awareness Award. His international assignments include covering elections in Afghanistan to the aftermath of the 2010 earthquake in Haiti to social violence in Guatemala. Most recently, he completed a project about the impact of inhaled Nitric Oxide on cerebral Malaria in Ugandan children. Fred Ritchin is Dean Emeritus of the International Center of Photography (ICP) School, serving more than 3,500 students annually in graduate, certificate, continuing education, and youth photography programs. Previously Ritchin had founded the Documentary Photography and Visual Journalism Program at the ICP School and directed it from 1983–86. He was appointed Dean in 2014 and Dean Emeritus in 2017. Immediately prior to joining ICP, Fred Ritchin was professor of Photography and Imaging at New York University’s Tisch School of the Arts from 1991–2014, where he co-directed the NYU/Magnum Foundation Photography and Human Rights educational program. Ritchin has been picture editor of the New York Times Magazine (1978–82) and executive editor of Camera Arts magazine (1982–83). In 1999 he co-founded and directed PixelPress, an online publication and a collaborator on human rights initiatives with organizations such as UNICEF, the World Health Organization, the Centers for Disease Control, Rotary International, Crimes of War, and UNFPA. Ritchin has written and lectured internationally about the challenges and possibilities of the digital media revolution. He has published three books on the future of imaging: In Our Own Image: The Coming Revolution in Photography (Aperture, 1990); After Photography (W. W. Norton, 2008); and Bending the Frame: Photojournalism, Documentary, and the Citizen (Aperture, 2013). In 2016 he co-authored with Carole Naggar the Magnum Photobook: The Catalogue Raisonné. He has also been curator of numerous exhibitions on subjects ranging from Latin American photography to alternative image strategies for social change. He created the first multimedia version of the New York Times in 1994–95, and the website “Bosnia: Uncertain Paths to Peace” that Ritchin made with photographer Gilles Peress for the New York Times in 1996 was subsequently nominated by the Times for a Pulitzer Prize in public service. More recently he created the Four Corners Project, an innovative strategy to provide more context and ethical grounding for the photograph online, which is being implemented as part of a collaboration among the World Press Photo Foundation, the Open Lab at Newcastle University, and ICP. In 2012 he was presented with a lifetime achievement award from the Argentinian Documentary Photography Festival in Tucumán, and in 2017 he received the John Long Ethics Award from the National Press Photographers Association. Through documentary photography, Andrea Bruce brings attention to people living in the aftermath of war. For eight years she has chronicled the world's most troubled areas as a staff photographer for The Washington Post. She focused on Iraq from 2003 to the present, following the intricacies and obstacles of the conflict experienced by Iraqis and the US military. She also wrote a weekly column for The Post called "Unseen Iraq."